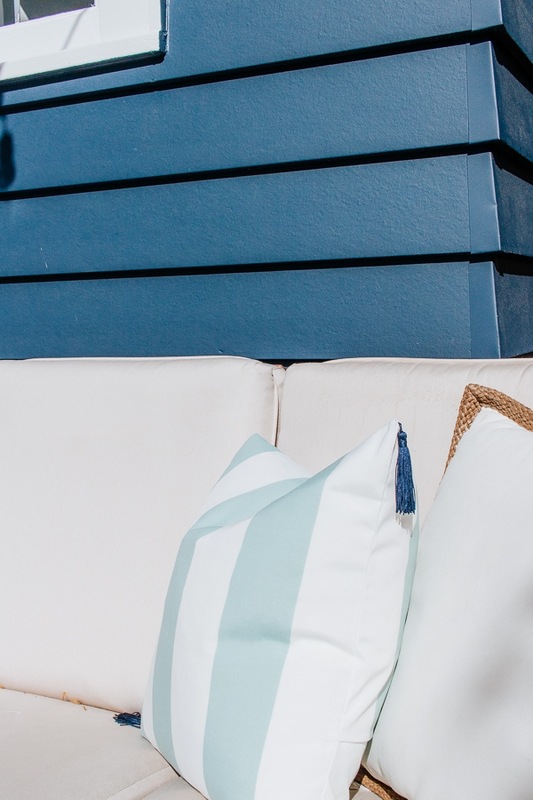 Inside : Learn how to make an easy diy outdoor pillow! I made three pillows from 1 yard of outdoor fabric using this method. Let’s spruce up your patios! This past weekend was gorgeous here in Seattle! The sun was shining, it was nice and warm and I was itching to clean up our outside spaces! 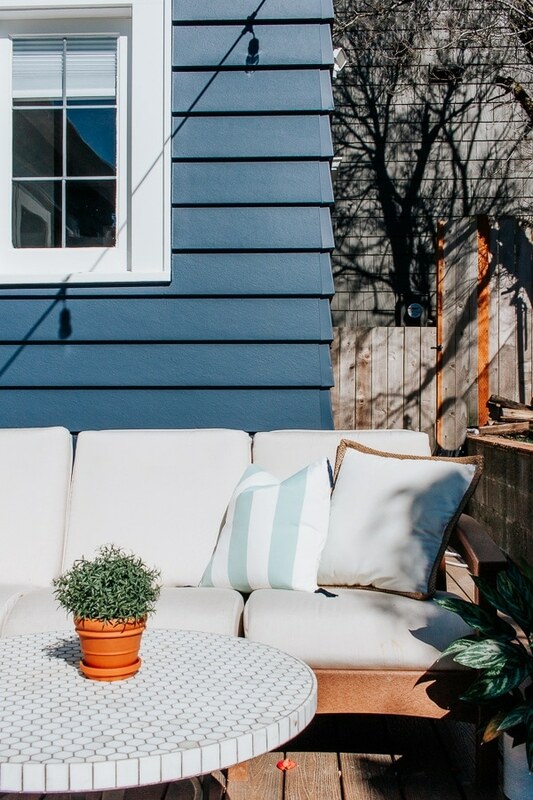 One cheap and easy way to transform your outdoor patio space is to plop down a few pillows. 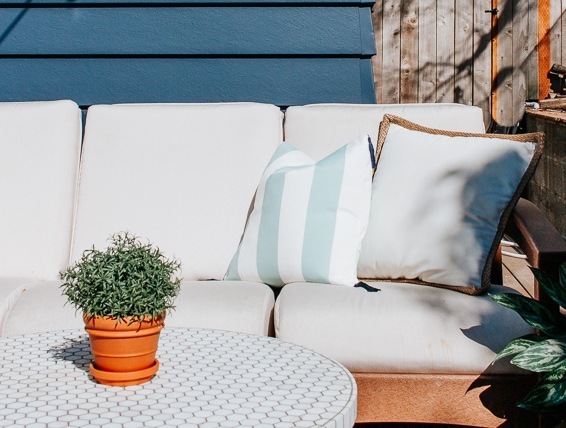 They add much needed color and help your outdoor area feel like an extension of your home – which it really is in the spring and summer months. We use our outdoor patio all the time. Especially since we installed this Trex decking a couple summers ago. And now with our new Panoramic doors? It’s going to be heaven out there! Anyways – I’m all about making cheap versions of expensive brand products. I recently did a cheap doormat DIY in a Rejuvenation inspired way. Well – this outdoor pillow is no different because I totally got my inspiration from Serena and Lily. 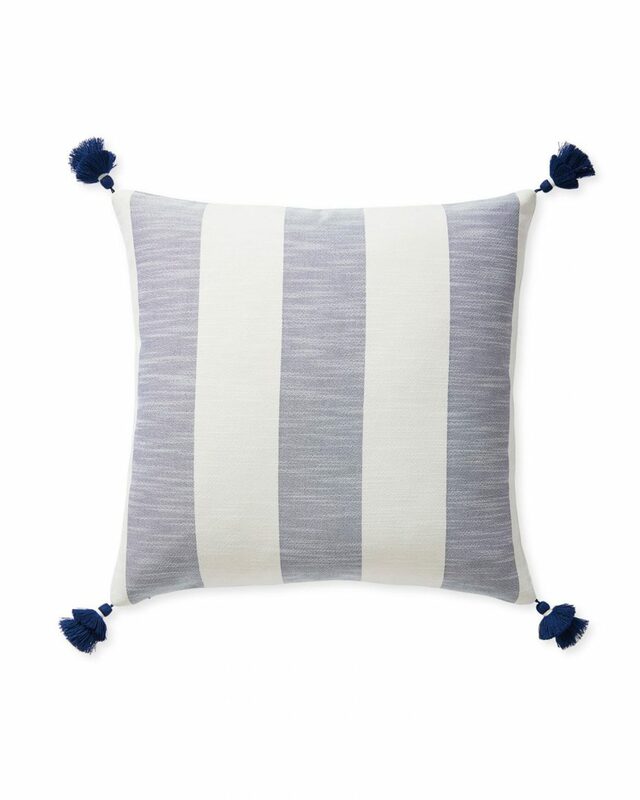 Their Beach Stripe Pillow with tassels is so pretty! But for $138? Not so much. 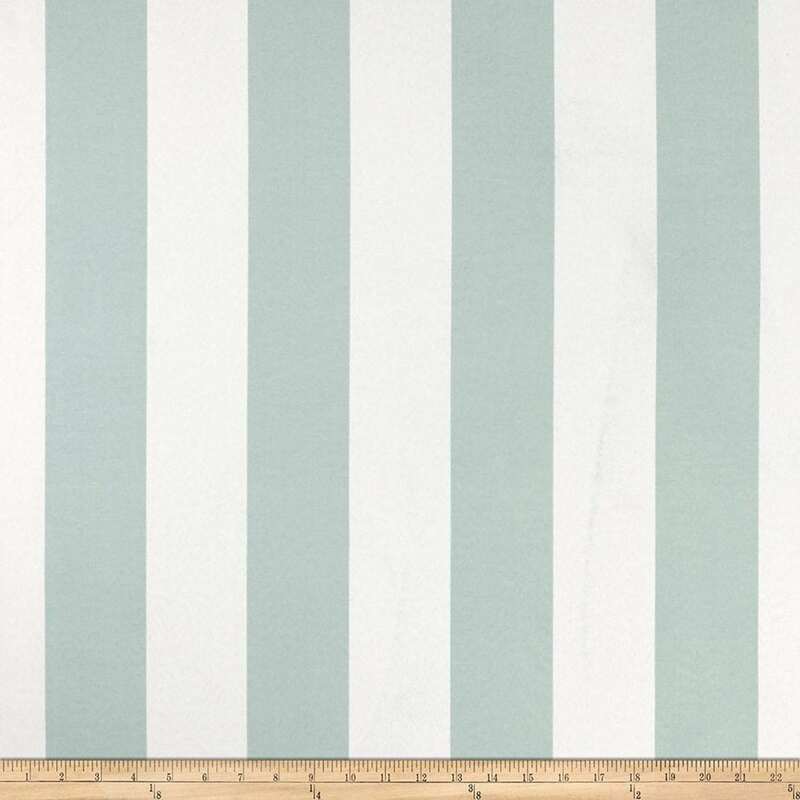 So I bought this outdoor striped fabric from Amazon (it’s Premier Prints). 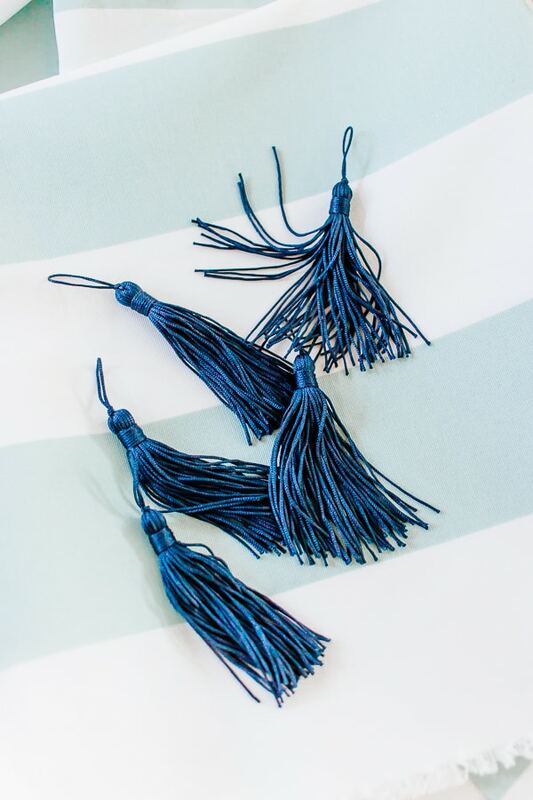 And I also bought a few navy tassels to jazz them up a bit. 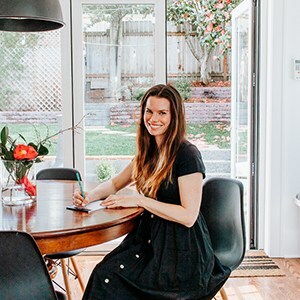 Tip : I always look on Fabric.com for great fabrics. Then I copy the name of the fabric I love and input it into the search bar on Amazon. (Did you know Amazon acquired Fabric.com?) A lot of times Amazon sells the same fabrics on their site and you get free shipping (2 day if you have prime.) Just a little trick to get your fabric quicker and with free shipping! With this one yard of fabric, I was able to squeeze out three envelope pillows, some with tassels and some without. Before we get to the tutorial, a note about outdoor pillow inserts. I have a few outdoor pillows that I bought ages ago. I loathe the patterns on them, but since they are outdoor and in good shape – I just reuse them and cover them over with new fabric. 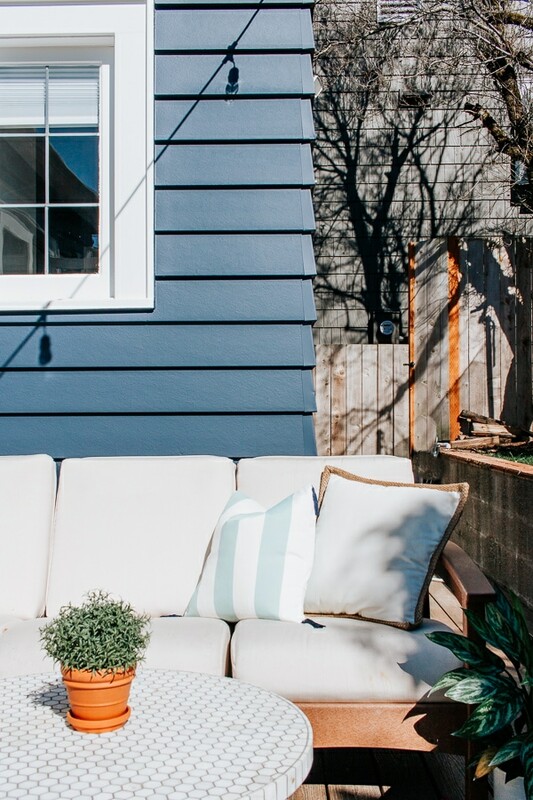 So – it’s worth mentioning that you can buy the ugly cheapo outdoor pillows and just cover over them. However, those outdoor pillows are kind of, well, blah. They are usually a poly fill which is just meh. I really love the pliable feel to the feather and down alternative inserts. So I also used one of those that I had laying around. Trust me – it makes all the difference! And you can wash those feather inserts too. I don’t keep my outdoor pillows outside all year long. If I know it’s going to rain, I’ll bring them inside so my pillows rarely get wet/moldy/dirty. Scotchguard makes a fabric protector that you can spray on to help shield your fabric a bit more from the elements. Ok – on to the tutorial! 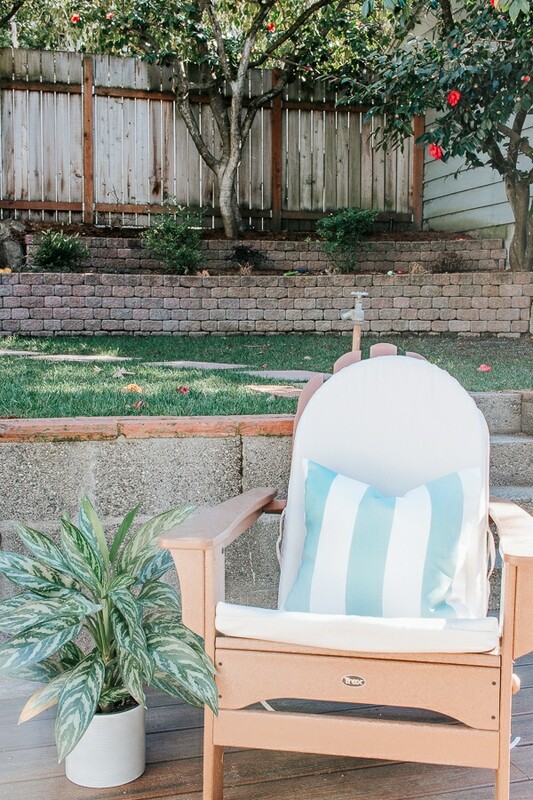 How to DIY an Outdoor Pillow – Easily! Place your pillow insert on top of your fabric. Cut the fabric along the edge of the pillow from top to bottom – you are basically just cutting it to the width of your pillow (see picture #1 above). Sew a seam on both ends to give it a finished look in the back. Plus – you don’t want it to fray. I iron down a seam and sew it that way – you don’t even have to pin it. After sewing your seams, lay your fabric down with the right side facing up. Place your pillow form in the center of the fabric again. Wrap the two edges around the pillow so they overlap in the middle and place a few pins there to hold it together. (See picture #2). Wrap tight! I like snug pillow covers. Carefully remove your pillow form without disturbing the pins. To add your tassels – place them on the inside corners of your pillow cover with the loop part sticking through the seams. (See picture #3). Now just sew the seams on both sides, while also ensuring you sew your tassels into the seam as well. (See picture #4). 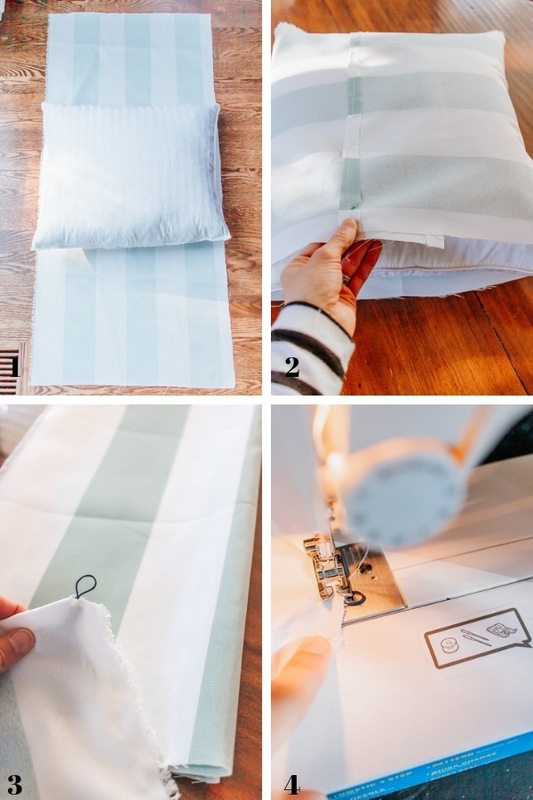 Flip your pillow right side out – insert your pillow form – voila! All done. And soooo pretty! I repeated these steps again with my other two pillows – although I ran out of tassels so one is just plain. Depending on the size of your pillows – you should be able to get 2-3 outdoor pillows with this method. And you are only sewing a few seams and making a few cuts. I really love the way these turned out. I am one step closer to getting my patio spruced up for the summer season. Let me know what other outdoor projects you guys would love to see! Enjoy your week – I hope it stays this beautiful here in Seattle. I’ll be back soon with a new sewing tutorial for ya!